Larry's Cafe & Bar in Serendra has been there for about a decade now and it has been serving the good food and providing the best ambiance since it first opened. Spinach Empanaditas. For someone who is not overly fond of empanadas (yes, that's me), I'd like to say that I enjoyed these empanaditas very much. The dough is crusty and not oily (thumbs up! ), and the filling is so delish it will make you eat more. 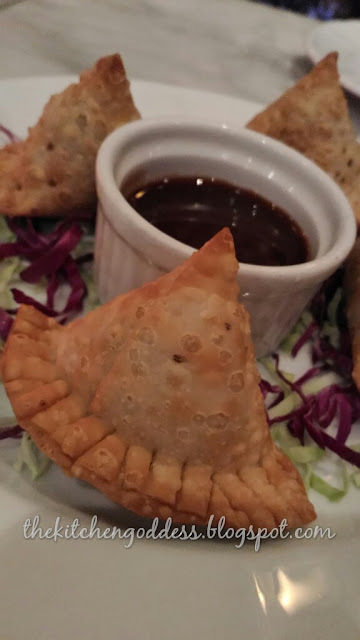 Although it doesn't come with a dip or sauce, I paired my empanaditas with the tamarind sauce that came with the vegetable samosas. Watermelon & Feta Cheese Salad. 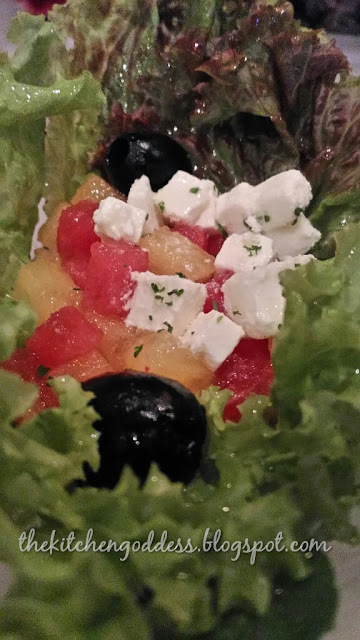 This is a very refreshing salad that has the right ingredients for that sweet & salty mix. I love how the burst of different flavors surprise you in each and every bite. Too healthy and I love it! 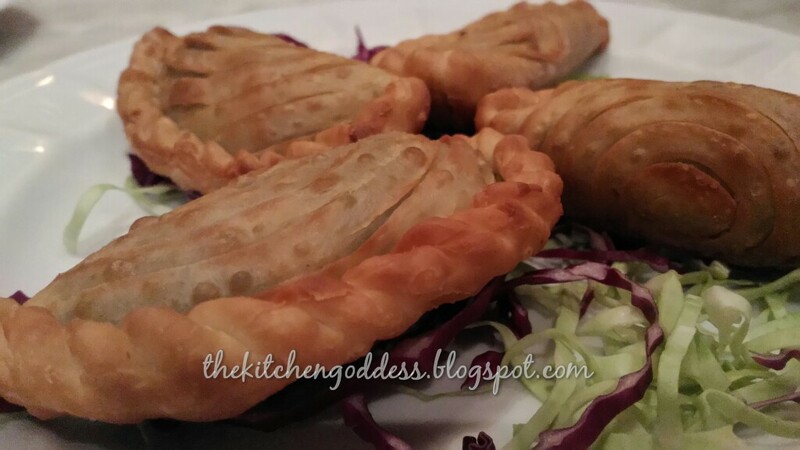 Vegetable Samosas. I always associate samosas with Indian restaurants so its a lovely surprise that Larry's Cafe & Bar has it on their menu. I love samosas but found this doubly enjoyable because of the tamarind sauce. Yes, I'm going to rave about how good the tamarind sauce is. Perfect for the samosas and the empanaditas. 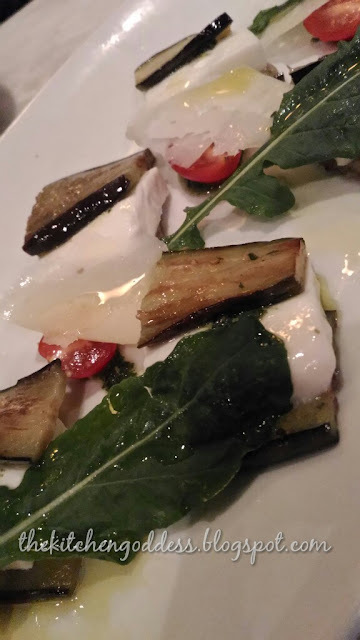 Eggplant Caprese. I can't eat eggplant but because my dining companions wiped this plate out, I'd say that its pretty good, too. Baked Bone Marrow with Garlic. So here's my highlight dish at Larry's Cafe & Bar. 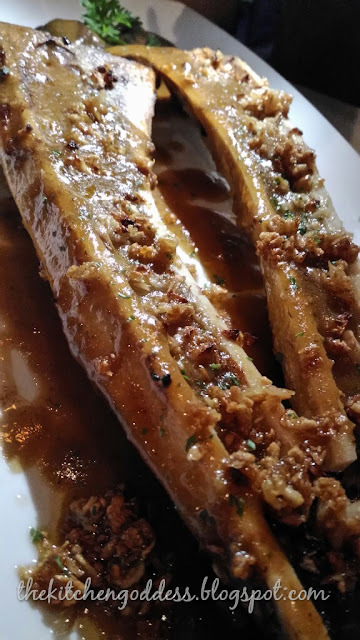 I know its sinful and laden with calories and cholesterol and unhealthy BUT this baked bone marrow is delicious. I had mine paired with melba toast. The marrow tastes heavenly in its creaminess and the garlic balances that flavor and makes you less guilty after wiping out all the marrow. Best paired with a glass of wine, white or red.